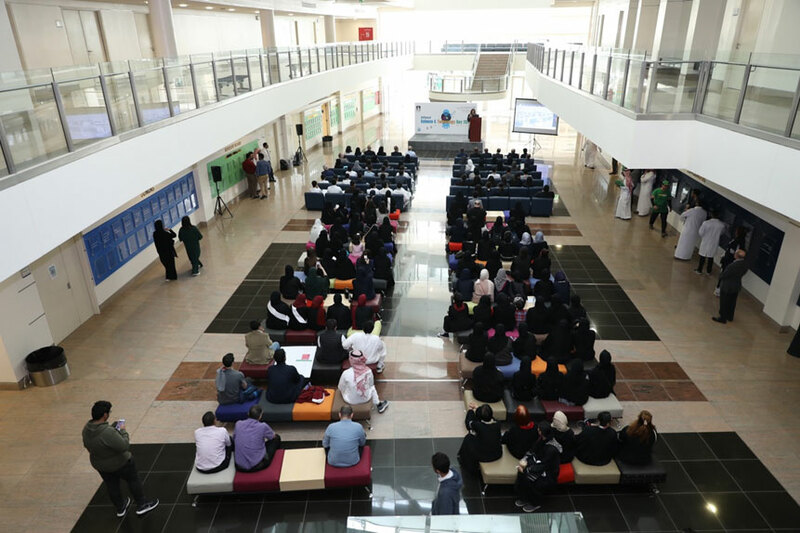 In an effort to promote STEM learning among high school students, the College of Science & General Studies at Alfaisal University held its first “Science & Technology Day” in Riyadh, under the patronage of His Royal Highness Prince Abdullah Bin Faisal Bin Turki Al Saud, Founder and President of the Saudi Arabian Center for Education and Training, at which students from local and international schools from the Kingdom participated with their ingenious science and technology ideas. This scientific event, which is held for the first time in the University and is aimed towards all members of the community, is part of the strategic plan and vision of Alfaisal University which is committed to fulfil its social and scientific role towards educating the community and contributing to realizing the vision of 2030 by encouraging young people to engage in science and technology, to stimulate creativity and refine talent in this fundamental area in all aspects of life. 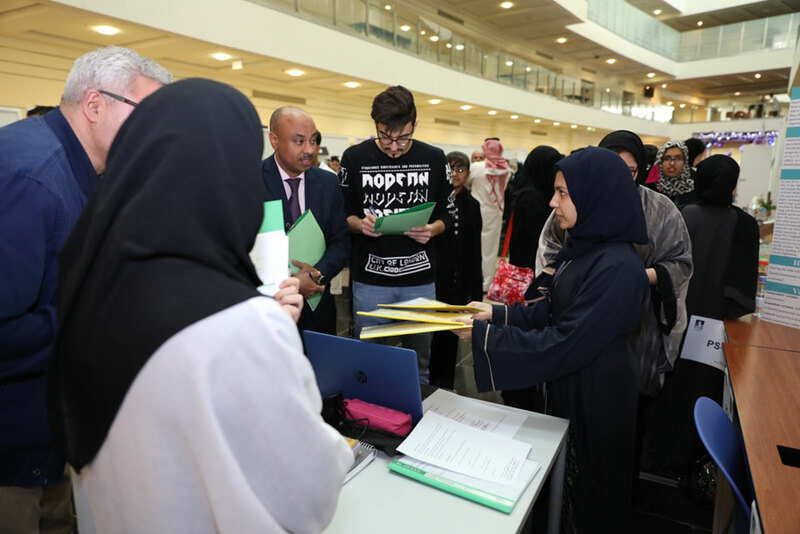 The event included the Science and Technology Day competition which targeted high-school students who participated with their scientific projects in four categories of the competition identified by the Organizing Committee. The Organizing Committee under the direction of Dr. Matheus Goosen, Dean of the College of Science, included Dr. Gada Korayim, Assistant Dean for Women’s Campus for College of Science, Ms. Safia Dart, Senior Manager for Marketing and Public Relations, Dr. Ali Hendaoui, Vice Dean for Academic and Student Affairs, Dr. Saddam Muthana, Chair of Chemistry Department, and Dr. Edreese Alsharaeh, Vice Dean for Graduate Studies, Research and Quality Assurance and Accreditation & Professor of Chemistry. The four categories introduced were Biotechnology, Food and Environment, Biological Sciences and Natural Sciences. More than 140 students from 32 different high schools participated in the competition. Students from Khobar, Yanbu, Safwa, and Dammam travelled to Riyadh to present their science projects, as well. The competition judging panel was formed by 36 faculty members from Alfaisal University College of Science with the participation of our honorary guest, Ms. Sara Alabdullatif from MISK Innovation. 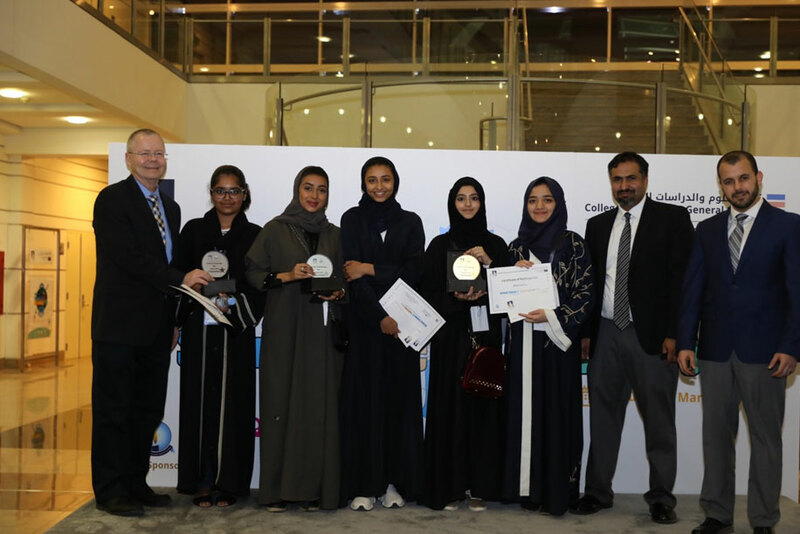 The results of the competition were announced at the end of the day showing students Amal Fatima and Aleeha Syed from the Pakistan International School in First Place for their project entitled “Converting Potatoes into Biodegradable Plastics and their Importance”; Second Place was won by students Da’ad Alajlan and Tala AlAshgar from Riyadh Schools for their project entitled “Using Turmeric to Eliminate Cancer Cells”; and student Hadia Saher of the Pakistan International School came in Third Place for her project entitled “PS-9 VAIPOC”. The event also included inspiring scientific talks by Dr. Khaldoun Al-Romaih, Stem Cell and Tissue Regeneration Program at King Faisal Specialist Hospital & Research Centre and Dr. Qais Dirar, Teaching & Research Assistant, Microbiology & Immunology Department at Alfaisal University. 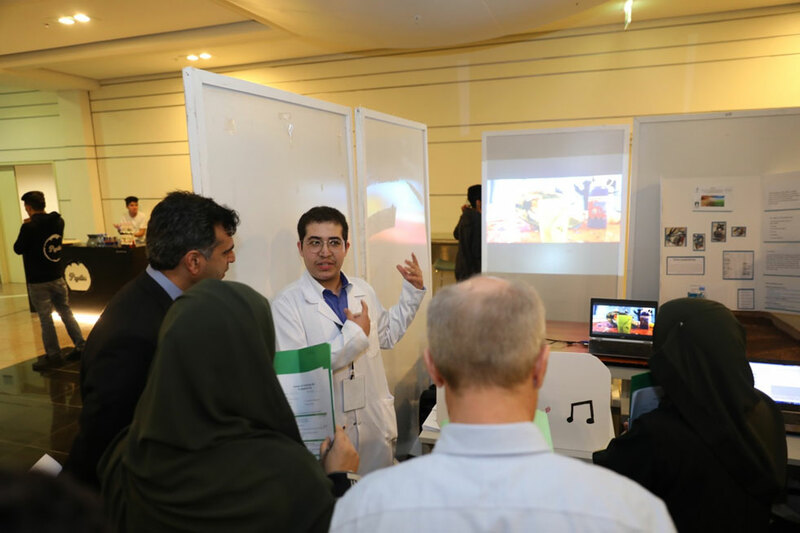 The event also experimented with technical and physical elements, along with family entertainment activities such as star-gazing with the telescopes, the Young Scientist corner, scientific booths and screening of scientific and family-friendly movies.Dr. Mohammed AlHayaza, President of Alfaisal University, congratulated all participants and organizers of the event, which is a continuation of the successive achievements by the University, that was ranked recently 2nd in the Arab Region and the Kingdom by Times Higher Education Ranking of 2019. The College of Science & General Studies was ranked 1st in the Kingdom and the Arab World for Life Science in 2019 according to the credible and reputable international ranking system.